Did you buy your book online and haven’t been able to meet Emmy yet, but you’d still like your book signed by the author? Emmy will sign a personalized nameplate and send it to you in the mail so you can stick it inside your book or in your keepsakes book. Buy the book and enjoy this special offer package! This special collector’s edition extras package can be delivered to you or the sweetheart in your life that you are buying the book for. I’ve taken a picture of the collector’s pack here, addressed to one of Sweet Dreams long time fans, Collene. *A personalized letter from the main character of Sweet Dreams, Victoria Knox. *A Rob Malloy business card. *A personalized bookplate signed by the author to peel off and stick in your book. Getting this prize pack is easy and FREE! *Who the package should be made out to. So, after you order your Sweet Dreams book from Amazon.com and give it to yourself or someone else, don’t forget to snap some pics and send them to Emmy! Have you listened to Chapter 11 of Undecided yet? I f you have, then you will know that Victoria gives Cynthia a paper fortune teller in class to help her decide which guy she should stay with. Now you can get your very own paper fortune teller like the one on the Undecided cover, for free. 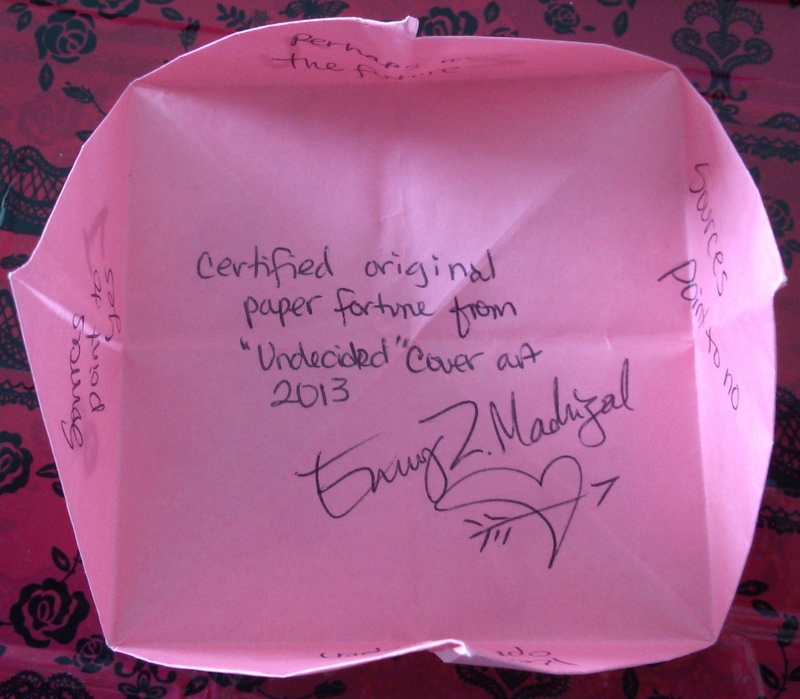 And you will get a FREE paper fortune teller in the mail from Emmy Z.! Are the sequels to Sweet Dreams available in print form? If so, where can I get them? to get the freebies is it fro both the kindle and paper back or just the paper back. Meghann, Either one. I can also personalize the package for Christmas if you wish. All you have to do is take your picture with the book/Kindle/iPhone, whatever you’re reading it on and send it to: emzbox13@gmail.com. I just realized the email is wrong up there… going to change it asap. When you email me, make sure to state if you want a general letter or a Christmas one.